Admission: $33.75 – $350. Be awed and amazed by one of the greatest magicians of our lifetime. 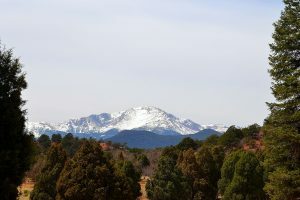 For more info, visit: Pikes Peak Center. Admission: Free. There’s a big solar eclipse event happening in August, and the PPLD with the Space Foundation are hosting this workshop to prepare. Join us to learn about eclipses and make viewing tools. For more info, visit: PPLD. Protospiel: Game Designer’s Day – Sat June 10, 1:00pm – 8:00pm, Petrie’s Family Games 7681 N. Union Blvd. Admission: Free. Are you into board games? Maybe you want to test prototypes for new games. Head on over to Petrie’s Family Games to do just that. For more info, visit: Petrie’s Family Games. Admission: Free for military, $10 individual (kids under 8 free), $20 family. Take a tour of one of the few remaining flyable WWII B17s. For more info, visit: EAA. Admission: Free. Celebration of all things outdoor! Sports, activities, food, music, and entertainment all happening Sunday at America the Beautiful Park. For more info, visit: Springs Spree.